Our Kuwaiti customer, as well as the 300-ton, 4-meter press brake, also bought a 4-meter guillotine shear. This machine is able to cut high-thickness plates, up to 16 mm. Like all Gasparini shears, it’s equipped with the Blade Pads system to ensure maximum cutting straightness. Blade Pads support the ram and keep it perfectly straight, avoiding deflections. This system also controls blade clearance to suit different thicknesses. On the front side of the machine we have the bench with removable supports and side squaring arm. Bench is equipped with disappearing ball transfers, with pneumatic lowering and raising. Thanks to this device, sheet metal is not dented when it is clamped down by blank holders. 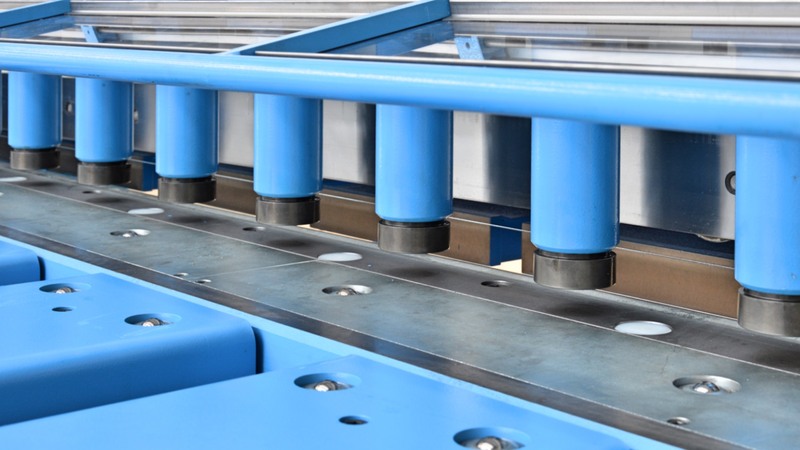 Delem DAC310 CNC allows to control the backgauge, shearing length, and cutting programs with maximum ease. This machine has been made with a special electric circuit to work with local 440-Vac power grid.